Since its launch in 1973, Texas Monthly has chronicled life in contemporary Texas, reporting on vital issues such as politics, the environment, industry, and education. 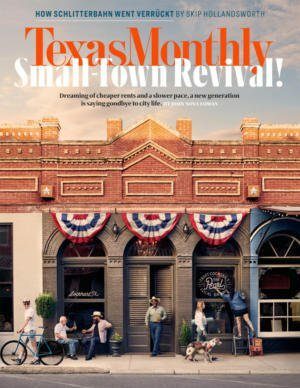 As a leisure guide, Texas Monthly continues to be the indispensable authority on the Texas scene, covering music, the arts, travel, restaurants, museums, and cultural events with its insightful recommendations. Above all, Texas Monthly provides its readers with a magazine of the highest editorial quality, a standard that has earned Texas Monthly 13 National Magazine Awards and 70 nominations.